How Far is Sowparnika Sai Krishna? 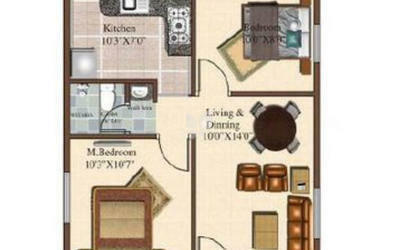 Sai Krishna apartments offer carefully planned some of the best designed 2, 3 and 4 BHK apartments at affordable prices. 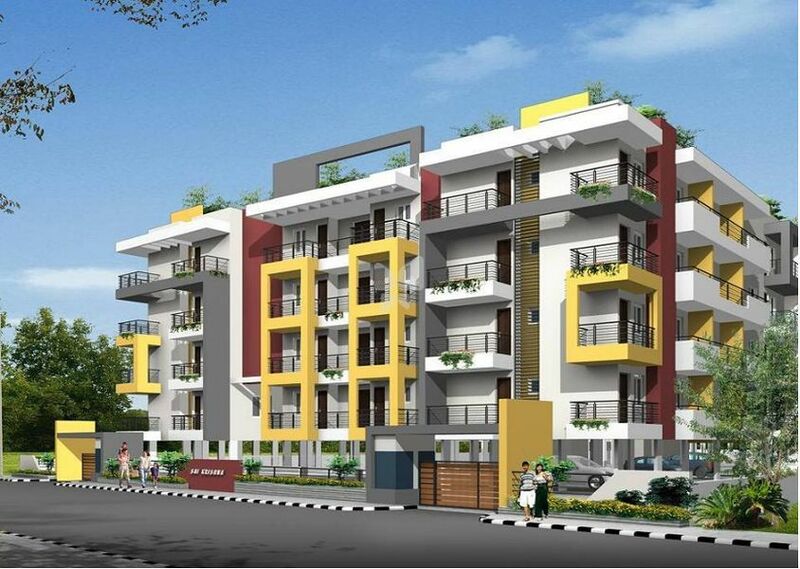 The project is spread over an area of 1 acre with 96 apartments. Each apartment at Sai Krishna is designed to give you your required space and privacy. With wide pathways and lush green landscapes, Sai Krishna apartments are delightful and pleasant homes for its residents. 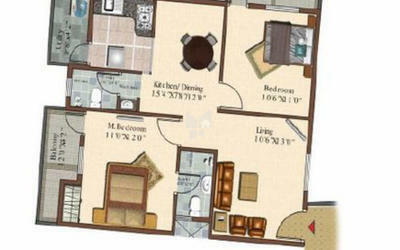 The project is strategically located with 100% Vastu compliant layout and fabulous facilities. 'L' shaped polished Black Granite counter top. One 2'0" wide loft in kitchen. Standard size stainless steel sink with drain board. Ceramic glazed tiles dado up to 2'0" ht above platform. Aluminium sliding windows with guard bars with plain Glass. Mosquito mesh shutter for bedrooms. OBD painting for all interior walls and ceiling. Exterior wall surfaces painted with snowcem paint. NOVA/JAQUAR or equivalent C.P. fittings. White colored Parry ware/Hindustan Sanitary Ware.